Special swing motions to relax and stimulate human body. 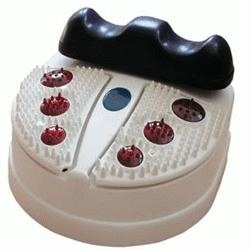 Vibration board for foot massage to increase human immunity. 1. One Rotating Disc for hip soft cushioned. 2. Attached Digital Remote Control. Unit Size (W * L * H) - 37.5 * 26 * 34 cms. Net Weight ~ 5.0 kgs. Gross Weight ~ 5.4 kgs.